Tony Cha Cha, born in The Hague (Netherlands) as Dimitrie Siliakus, grew up in the city of Amersfoort. He started his career packed with the dream to turn his hobby into a profession. His first steps consisted of DJ-ing at school-parties at the age of 12 and organically grew into landing regular gigs at local clubs in his hometown. In those local clubs is where his undeniable talent was discovered by one of the early captains of the house music industries, DJ Jean. His unique mixing style together with self-made bootlegs rapidly turned Tony into a definite favorite amongst clubbers and promoters! 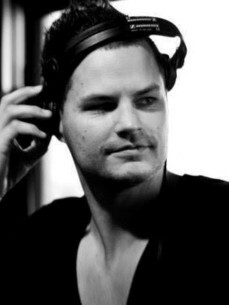 This offered him his first big break and marked the first big milestone in his tender career as he was offered a residency at club iT in Amsterdam, named AIR nowadays. Tony has build up an impressive list of embarked clubs and events. A.o. : Mysteryland, Dance Valley and Nope = Dope (NL), H2O (South-Africa), Xpose (Brasil). Considered as one of the most energetic presences behind the decks, expect personality and lots of entertainment when this dj is taking over the stage.